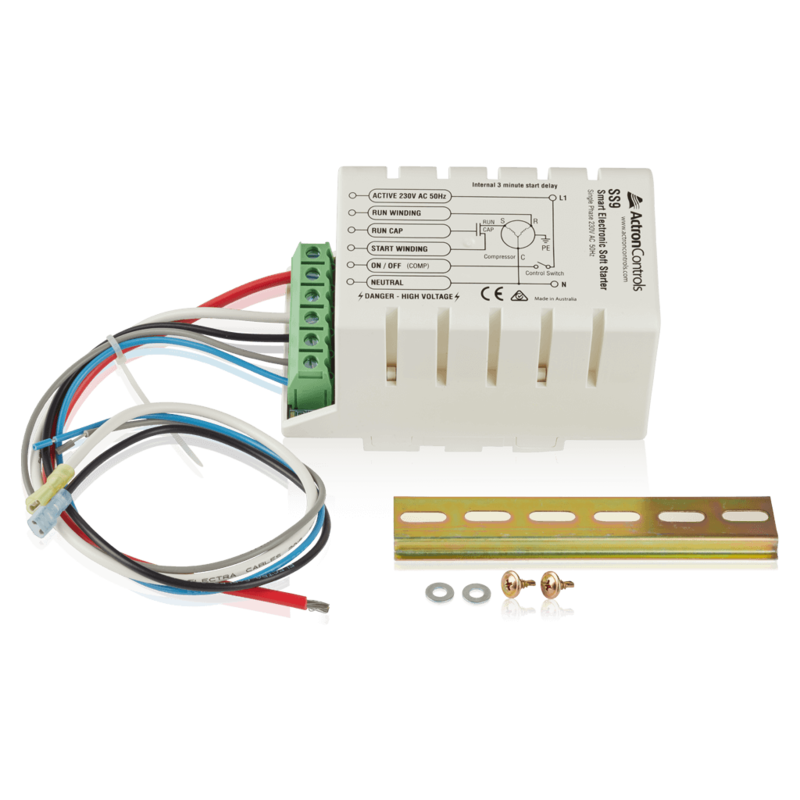 The smart and reliable single phase soft starter. The SS9 Single Phase Soft Starter has been specifically engineered to address international power authority concerns with excess compressor inrush current, and meets IEC standards for heat pump and air conditioning compressors. 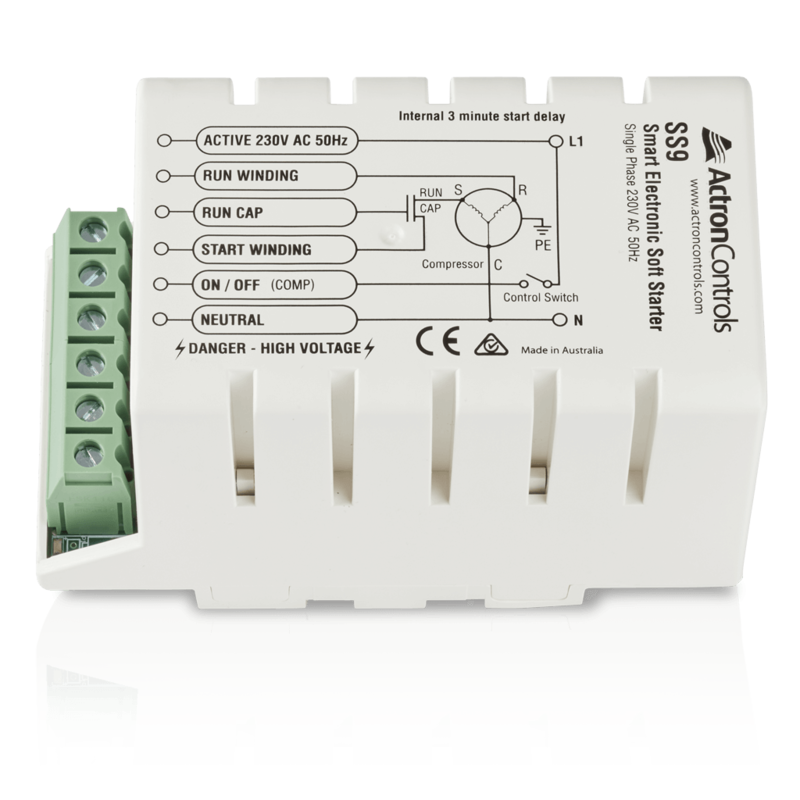 Designed to reduce mains interference, the SS9 is suitable for systems up to 20kW in size operating 185vac to 264vac mains, and comes in two enclosure types to provide flexibility when mounting. 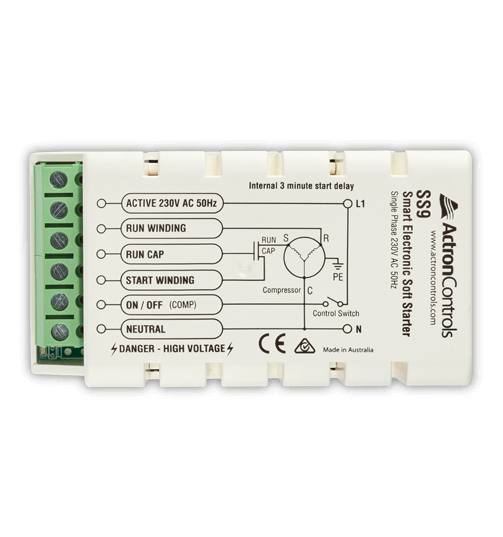 The SS9 can reduce start up noise by up to 50%, can reduce light flicker & interference with electrical products, does not require any manual adjustment or calibration, and is compliant with electrical standards NFC15100 & IEC60364-4-43.